Freesat's managing director Emma Scott is hoping that the first Freesat box that utilises the Project Canvas protocols will bring progressive HD downloads to the platform. Although the iPlayer is launching in beta on Freesat before Christmas, and ITV Player will launch in the next six months, both of these services will, at first, only bring standard definition programmes. However, Scott, talking to Digital Spy, believes that the introduction of the IPTV standards that the BBC are currently trying to push through the BBC Trust as Project Canvas could eventually bring higher quality video on demand. "When we produce the Canvas Freesat box, next year hopefully, maybe some progressive download might be something that will eventually come to pass. "I think there is functionality to do it but it's down the other end of the chain in terms of the broadcaster's willingness to meet the costs of transmission." 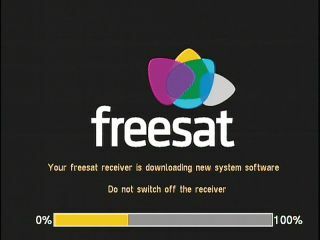 Freesat has been keen to remind people that it is in a position to combine its satellite platform with Project Canvas – should it be approved, with the platform already beginning to utilise its Ethernet port for its on demand content.